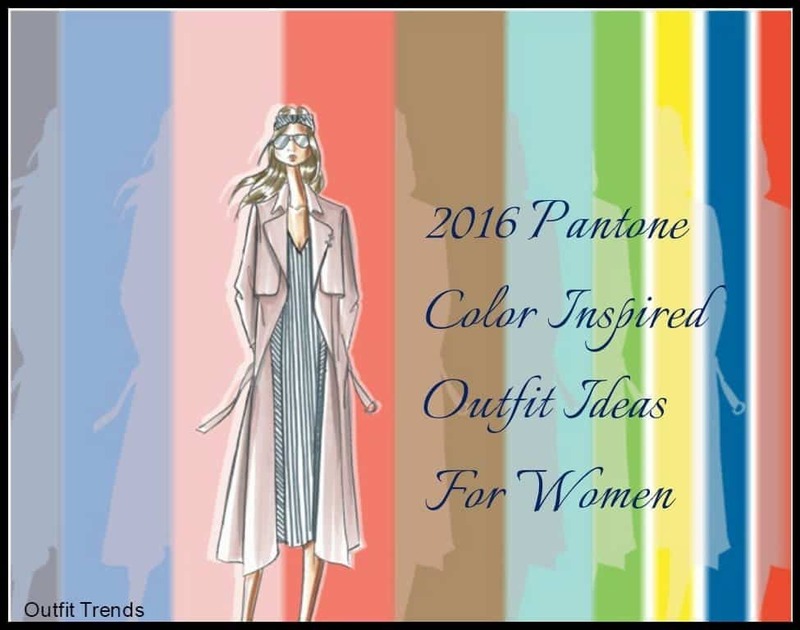 2018 Pantone Color Inspired Outfit Ideas For Women. Keeping up with latest trends and colors is very difficult, being ready with the right thing is a hassle. The fashion world is always changing and keeping up with the pace is a stressful thing. However, certain things like the Pantone colors are something that you should know of, we bring for you outfit ideas that are inspired by the Pantone Colors of 2018. Rose Quartz, Peach Echo, Serenity, Snorkel Blue, Buttercup, Limpet Shell, Fiesta, Iced Coffee and Green flash are the top Pantone colors of 2018. Even though, you know the Pantone colors, wearing outfits that are inspired by these shades can be challenging. Following outfits will definitely help you add some oomph to your wardrobe. This amazing skirt paired with a serenity shaded jacket is all that you need to add class into your boring wardrobe. Wear these stylish snorkel blue heel and hold your head high in the crowd. This simple yet a perfect mixture of grey and serenity is all that you need for an elegant look. Make this dress pop out with a matching bag and silver stilettos. This season make it all about mixing and matching the light shades of rose quartz and serenity. Pair it up with white sweater and sneakers and you are all Pantone ready. This mixture of Buttercup and snorkel blue boots is a must have this season, all you need is just the right shade that will help your style pop out in a crowd. Fashion is all about standing out in the crowd and make a statement that is unique yet elegant. This shade of green is a must-have in every girl’s wardrobe. This mixture of Peach Echo, Snorkel Blue and Black is just the right thing to do this season. Make it all about the colors and be ready to flaunt your style. This simple yet elegant combination is just the right thing to elevate your style statement. A must-have for your wardrobe this season. This mixture of cool shades are all that you need to beat the heat and give out a cool aura. This attire is all that you need to get an off the runway look, simple to put together, this dress is a must-have for all the style divas out there. This carefully put together wardrobe packed with some attitude and messy curls are all that you need to turn some heads around. This mixture of rose quartz and serenity in a flashy skirt is all that you need to add some zest and bling to your routine style. This season add some floral prints to your wardrobe.